LONDON — Horseracing in Britain is to resume on Wednesday with strict biosecurity protocols after an outbreak of equine flu. 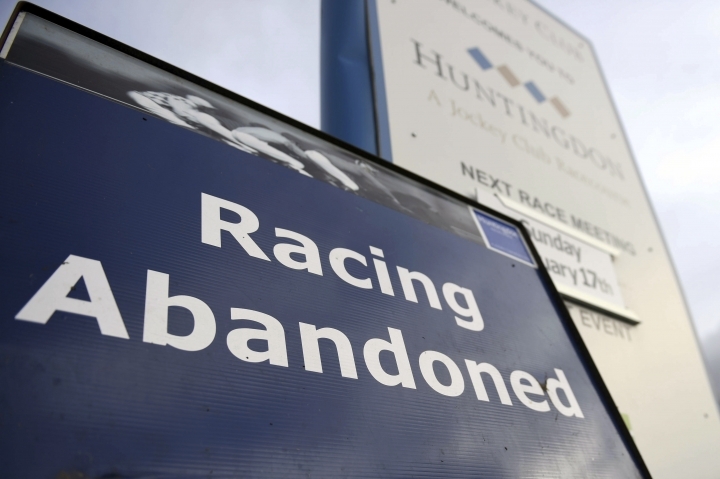 Racing has been shut down since Thursday, and six cases have arisen at two stables, but the British Horseracing Authority announced on Monday it has contained the highly infectious disease to the unanimous agreement of its veterinary committee. Four meetings can go ahead in Musselburgh, Plumpton, Southwell, and Kempton, the BHA said. "After analysis of thousands of samples, and no further positive tests on Monday, we still only have two confirmed sites of infection," BHA chief regulatory officer Brant Dunshea said. "We have put robust containment measures in place around both. "From the testing and analysis conducted, the disease appears to be contained at present. The BHA veterinary committee believe that the swift controls on movement that were put in place have clearly helped to restrict the spread of this virus. "Clearly, there is some risk associated with returning to racing. This risk has been assessed and, based on the evidence — and ensuring biosecurity measures are in place — the level of risk is viewed as acceptable."